If you see a crash happen or are the first to arrive at the scene of a crash, your actions on these occasions are vital - you might be able to save a life or prevent other vehicles crashing as well. You may be able to call the Emergency Services and you may be able to provide valuable help as a witness. Stop at the scene of the crash. Failing to stop at a crash you are involved in is an offence. Use your hazard warning lights to alert other road users to possible danger. Assist anyone who is injured. Telephone 000 where there is danger such as fire, death and/or serious injury. Telephone 131 444 if non-emergency police assistance is required (e.g. if the road is blocked, or there is a traffic hazard etc.). Exchange your information with the other drivers (or that driver's representative) or other persons involved in the crash, including the owner of any property damaged at the scene. any other information necessary to identify the vehicle and any other information required by a police officer about the crash. Clear up any debris from the crash, such a broken glass, as soon as it is safe to do so. The driver of a vehicle involved in a crash in which a person is killed or injured must stop and render assistance. The driver must report to a police officer either at the scene or at a police station, not more than 90 minutes after the crash, for the purpose of undergoing alcohol and / or drug testing. 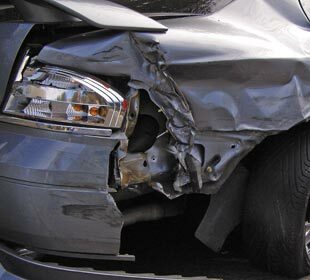 Crashes that don't result in death or injury must be reported to police as soon as possible and, except in exceptional circumstances, no later than 24 hours after the crash, unless the only property damaged is that belonging to the driver or where the damage is less than $3000. the other party's car registration number. If you are injured in a crash and attend, or are admitted to hospital, a blood sample will be taken if you are 10 or older. The blood sample will be tested for alcohol and the three prescribed drugs, THC (marijuana), Methylamphetamine (Crystal Meth) and MDMA (ecstasy). 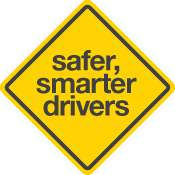 Penalties will apply to drivers and riders who test positive for one or more of the three prescribed drugs, or exceed the prescribed concentration of alcohol for their licence class. What should you do if your vehicle needs to be towed away after a crash? Tow trucks are rostered to remove vehicles from crash scenes in the greater metropolitan area of Adelaide through the Accident Towing Roster Scheme. By law, only tow trucks operating within this scheme can attend these crashes. The tow truck driver must provide you with an Authority to Tow form. Read the entire form carefully before you sign it, and make sure you write the place where you want the vehicle taken - before you sign the form. 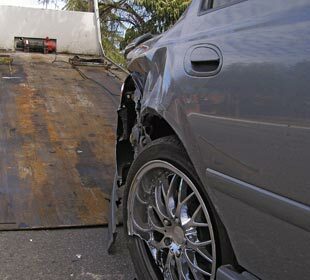 The tow truck driver can provide you with advice but it is your right to decide where your vehicle is taken. If your vehicle needs to be towed after a crash within the metropolitan Adelaide area you must ring (08) 8231 5555. If the crash occurs outside the metropolitan area you can contact any tow truck operator available.